If the title of this article resonates with you - know that I’ve felt the same way! Any of these sound familiar? 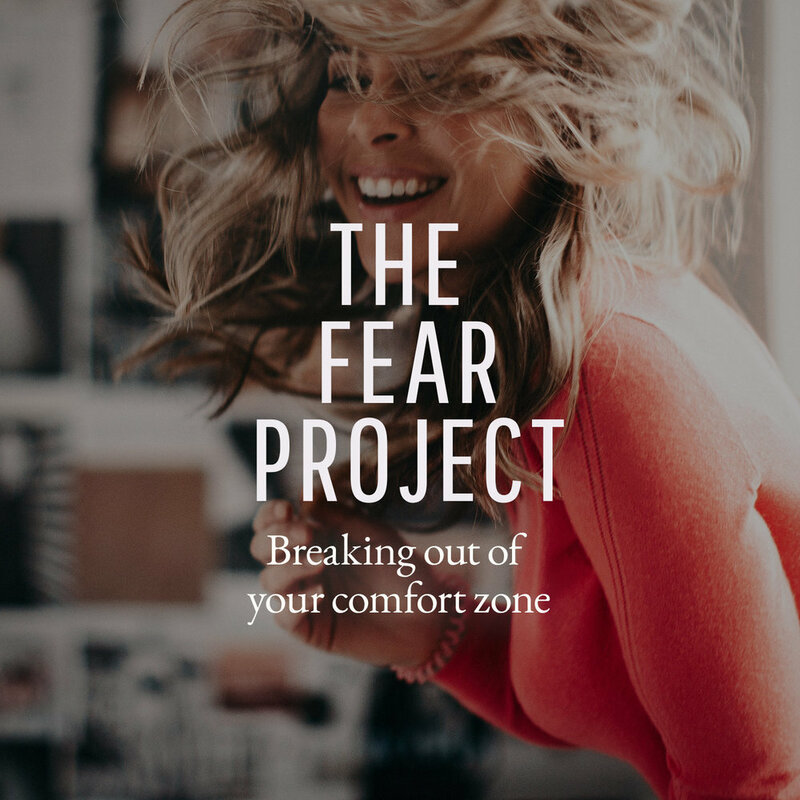 You’re afraid to start your business. You’re friends and family are discouraging you. You don’t think you are good enough yet. You’re afraid to start charging. You feel like you’re not getting anywhere. You feel like you’ll never be as good as others. Don’t compare your Chapter 1 to their Chapter 20. I discovered Flickr a month after I got my first semi-pro camera. I fell in love with so many photographers and their beautiful images (Anastasia Volkova and Julia Trotti were huge influences on me). I had no idea how they lit or exposed their photos or even what lenses they might have been using. I'd feverishly set up shots in my livingroom while my baby daughter slept. I tried to recreate the beautiful images I was so inspired by. I’d load the images onto my computer just to feel a huge let down. I mean, the difference was night and day. But I pushed on… I'd bring my favourites of the bunch into photoshop because I was determined to elevate the style and give my photos some allure. The look improved, don’t get me wrong, but still I was nowhere near my photographic idols… in fact I wasn’t in the ballpark or even the stadium in terms of comparison. You see… I compared my photos to those of my idols. We’ve been taught that comparison is bad. Comparison gave me the desire to learn and educate myself. Comparison showed me the difference between good and great. I understand when people tell you not to compare yourself with others. They say - be happy with your own work and your own style. ….she can do it because she has _____ and you don’t. Realize, you’ve gone too far. Be sure that when you look at others and compare, that you do so in a way that feeds your soul and motivates you to improve yourself. Interpret it as a soft nudge to go learn something new or develop/polish a new skill. But remember that it will take a series of steps to grow and reach certain goals. Be kind to yourself. After you learn something new, make a list of everything you now know that you didn’t before. I bet you’ll surprise yourself. Just as we have growth spurts and lulls… have the faith, determination and, most importantly, patience as you grow. P.S. Just to let you know...when I first started in photography, I tried reverse engineering other people’s photos. Then I learned about and enrolled in online courses...which has made all the difference. This important step helped me fast track my progress and success. Portrait Photography and Business: I highly recommend Sue Bryce Education. Wedding Photography and Business: My e-course is NOW OPEN: Stand out. Save time. Sell more. A few weeks ago I asked you all to send me your most pressing questions about your photography business and wedding photography. Thank you everyone for sending me your questions!! You’re awesome!! One of the most common themes in your questions was in-person sales (IPS) and how to incorporate IPS into your wedding packages. So, today I’m going to show you two savvy ways that I implement IPS into my wedding packages. Similar to many of you, several of my wedding packages include an engagement session. But the difference is - some of these packages include the digital images, while others do not. For those packages that do include digital images… the price has been carefully calculated and included in the price of the wedding package. For those packages that do not include the digital files, the couples come into my studio, view their images and...this is the best part!...Select and purchase their favourites… in-person. By now, you may have some questions like…. Why do some of the packages include all of the digitally edited files? Doesn't including all of the digital files in some packages defeat the purpose of IPS? Let me start by saying, that my wedding packages are accompanied by an a la carte menu. This a la carte menu lists of the prices for individual images/prints and varies depending on the size(s) they would like to purchase. Equally as often, I have clients who know they want all of their engagement images before they even book my services. It’s important to know the tremendous value of your digital FILES, and this needs to be reflected in your pricing. Remember! The value is in your art, not in the paper you print it on. And as such, high resolution digital images, should not priced less than a print. Further, the price to purchase all the digital images needs to be significant and considerably more than if your client were to purchase a handful of your small/med a la carte images. WHAT IF THEY WANT ALL THE DIGITAL IMAGES? Ask yourself what an amazing IPS would equal? What is the price value? Write that number down. Be sure it is more than purchasing a handful of small/med a la carte images. And make sure your pricing is logical. Use this as a starting number and go up from there. Most of my higher wedding packages include a complimentary bridal boudoir or bridal photoshoot. I believe this is an awesome addition to my packages. Now, notice I said photoshoot. When my clients select a wedding package, I tell them about this beautiful photoshoot experience that's included with their package. I educate them on the shoot and explain that all of the images and any products are sold separately. I have a special price list for my bridal boudoir sessions. It includes, a la carte images, and products I know my brides adore and can actually use. For example, I offer a sleek black book. This is something my brides love to give their grooms the morning of their wedding. It's an extremely romantic gift that brides love to give. Use this IPS meeting to help give your clients fun ideas on how they can use their images. I should also add to the black book example, I do have an add-on price, if the client would also like to purchase all of the digital images, in addition to the book. 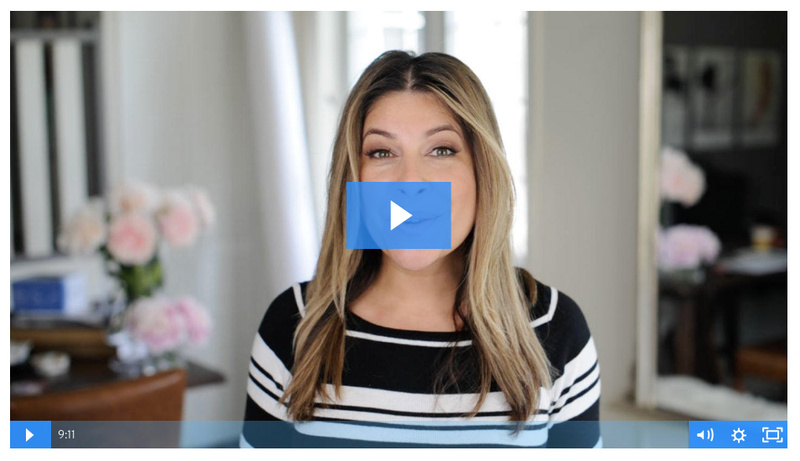 Whether you’re already started implementing, or you're wanting to start implementing IPS in your wedding photography business, I think these two examples will get your creative wheels turning with great ideas on where to start... and how you can expand. Leave me a comment below on any a-ha moments or how you’ve already successfully incorporated IPS into your wedding photography business. In this course, I don't hold anything back. 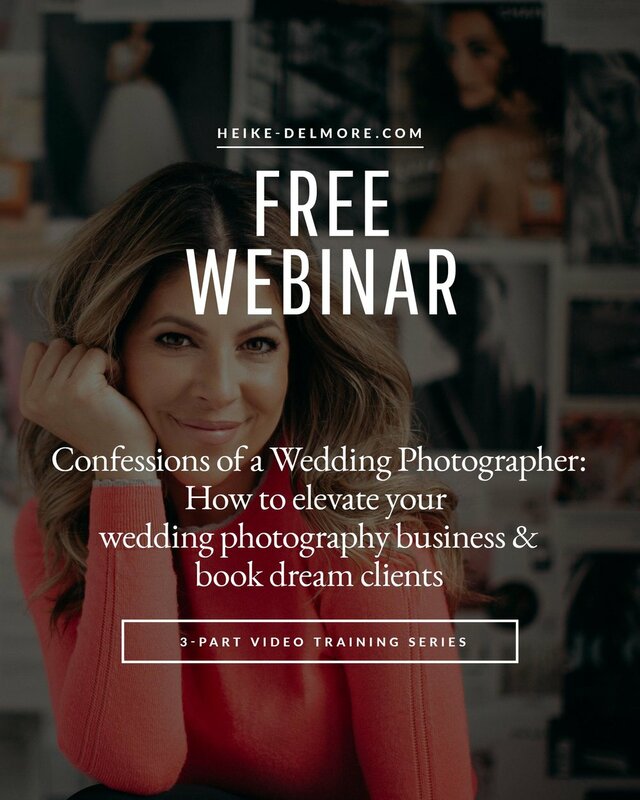 I'm completely transparent on how I rapidly grew my profitable wedding photography business. “I just wanted to let you know that since I finished your training, I just keep thinking about you non-stop! You don't understand how revolutionary your training was to our business. And that is coming from photographers who have shots consistently 25-30 weddings per year every year, for the past 5 years, prior to taking your course!!!! There were so many pieces that I was already applying with the sales portion/consultation piece, and the 'knowing your uniqueness piece', but your training helped Jaques and I literally re-brand our entire website, produce amazing curated blogs, and be able to write our blogs very fast with the use of the blog assistant. It's helped me a lot. Every time I write up a blog, I think of you; and every time I book new client at our new pricing, I think of you too! I can't thank you enough, girl. Thanks to you we've booked 8 new clients with our new higher pricing in the past 6 weeks, and I am so grateful. I'm hoping to run into soon just to HUG you, LOL! Interested in getting more information on the e-course program? Click here for more information. Can't wait see you there! I'm so excited for you and your business and what this means for your future. I hope you all had a restful and joyous thanksgiving weekend. I've extended the Black Friday bonus (in my online store) until midnight tonight - CYBER Monday November 28th, 2016. Receive 25% off when you spend $85 or more. Browse the store here. 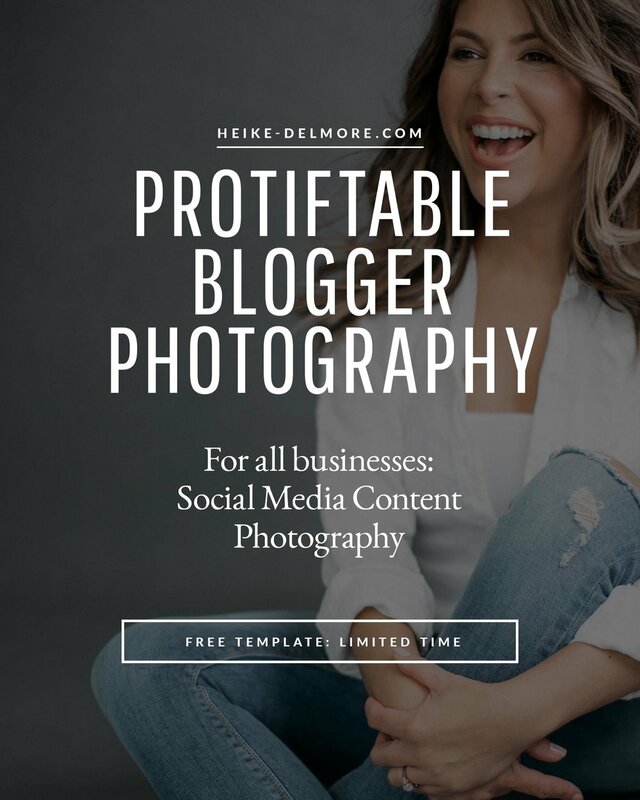 "A big shout out to Heike Delmore’s Personal Branding Kit she created. Thanks to this kit I was super prepared with questions for my inquiring client and booked her in! BOOM, October fully booked now and booking into November now, yay!!!! Now I am to buy Heike’s Personal Branding PDF template to get it ready to send out for future clients. And if you don’t have these yet - go GET THEM!!!! They are sooo fabulous, I felt like a pro on the phone :-) "
"Heike's incredible guide helps you prep for Personal Branding shoots for both male and female clients is a must have you guys... Heike created a brilliant Personal Branding kit for you, that is easy to implement and use straight away... She also created a beautiful PDF template so you can make your own by including your amazing work, so you have a ready made PDF to send to your clients to give them that extra professional touch from get go." Understandably, people are usually feeling pretty nervous, vulnerable or anxious before a photo shoot. And I can totally relate! However after the photo shoot, my clients often tell me that it was easier than they had anticipated. Mainly because I made them feel comfortable! When a client is booking her photo shoot, be sure to ask her a lot of questions about herself. It’s like making a new friend! Asking questions helps me get to know my client’s personality and also what she likes in terms of style and imagery. It gives us something to talk about. And finding any similarities between us, helps the conversation flow easily on the day of the photo shoot. Just before the photo shoot begins, I warn my client that I will most likely be talking throughout the entire session - often gently repeating myself with posing and coaching instructions. By informing my client of my process ahead of time, she never feels discouraged or like she is doing something wrong. She interprets my repetitious instructing as encouragement rather than criticism. Tell a story to get your client into the right mindset or character. Sometimes if can’t get my client to give me the connection or body language I am looking for, I tell her a story to get her into character. With couples for example, I may say “you both just snuck out of a formal dinner party and met up in this secluded area to share a private moment”. Or with a couture portrait client, I may tell her to picture herself as a celebrity she likes and ask her to show me how that celebrity would portray this look. This works wonders! Share your own experience of being photographed focusing on how you felt during the process. I often share my personal experience of being in front of the camera and how nervous and vulnerable I felt. Let your client know that you can relate to how she is feeling. And how the poses may feel really awkward, they actually look good in camera. This will help reduce your client’s stress and you will see her shoulders relax. When a shot looks great don’t be afraid to show your excitement! During the photo shoot when a pose or shot looks great, I can’t help but get excited and let out a little squeal! This always gives the client an extra boost of confidence and reinforces that she is doing a great job! She will also inject more effort and enthusiasm in her next poses. I hope you found these tips helpful! I’d love to hear any tips you have on making your clients feel more comfortable in front of the camera. Thanks for reading! Leave your comments below! What is one of the biggest mistakes a photographer can make when designing her logo? Realizing it doesn’t work where she needs it most. So you’ve designed a logo and it looks great… on your website. You envision it on your business cards, note cards and bags and it will look great there too. But now, as you are sitting down ready to blog a recent photo shoot, you contemplate, "should I add my logo as a watermark to my photos?" You test it out… YIKES! It looks distracting and actually takes away from the beauty of the image. You decide to leave your image naked… watermark free. Your rationale? "Well thieves will remove watermarks from images anyway - so why bother." Watermarking your images with your logo is free advertising. And who doesn’t have time for free advertising and marketing? Holla! (Now before I go any further, I should mention that I too did not consider all of these items initially… it's been a live and learn experience. And one of my logos still suffers from this problem. But more on that and possible workarounds later in this article). Stealing: not everyone who will use your image(s) is trying to steal it or claim it as their own. For example, a very successful photographer friend of mine found one of her images displayed on a website accompanied by a short paragraph listing the site's favourite photographers. She was one of their favourites. They used an image from her website that was not watermarked. In a mad scramble, my photog friend contacted the site’s owner and sent her a watermarked version of the image. Capitalizing on the free exposure! (*Although people should always ask before using your work, the reality is they don’t always do this). Branding: Why do people purchase bags covered with the brand’s logo? - think Louis Vuitton. I had the pleasure of hanging out with Christa Meola and handful of other talented photographers last summer. Christa did us the honour of taking our photos. As she was telling us about when she would get us our photos, one lady asked if she could have hers with the Meola logo on it. Why? Because it means something to her. Just as the LV logo means something to the woman carrying the monogramed Louis Vuitton purse. Make your logo mean something! (See Christa's awesome logo on my Pinterest board below). Christa Meola and I in NYC last summer. I had the best time with this amazing talented lady. Searches by Google Images: these days clients are searching for photographers on google images. Naturally, when shopping for a photographer you want to see their photos right? Make it easy for them! For example, if a client does an image search and a few photos in the results appeal to her -- help her see that those photos are all by the same photographer (you) because they all share the same logo. This will instantly help narrow down her search... to you! Pinterest: ahhh gotta love Pinterest. Style boards, wedding, boards, headshot boards, boudoir boards, glamour boards. If one of your images ends up here, you want people to be able to find you. "But Pinterest will link back to my website - right?" Not all the time. For example, if someone pins your image via Google images, it will not link back to your site. And with no logo on your image, there is probably no tracing it back to you. (Unless of course, you are a well known photographer with a very distinctive style, such as, Sue Bryce, Craig Lamere or Annie Liebovitz). Painters: I thought I’d throw this in… traditionally artists have put their signatures on their work. Think paintings and prints. Trust me you are not alone. I have two brands 1. Delmore Photography and 2. Couture Portrait. I wrestle with this problem with my Delmore Photography brand. The logo has a symbol with text below it. It’s too chunky to put on any image... without ruining it. Don’t get me wrong, I like it on its own… just not on my photos. To make things worse, this is the brand I use mainly for weddings… and the thought of putting that logo on every image in a long wedding blog post makes me cringe. I did better, with my second and newer logo for Couture Portrait. I’d throw that logo on anything ;-) And will be updating my redesigned website soon. These are some workarounds if you already have a logo but it’s too distracting to put on your images. Use these tips alone or in combination. And be creative there is no right and wrong. Creative URL: do something creative with your url - see ribbon example on my Pinterest board below. Font: Have a specific font in your logo? Use that font and write your URL on your photos. Distinctive: Is there a distinctive aspect of your logo that you could use, that would instantly identify it as part of your brand? Photoshop layer opacities: Set Photoshop's layer opacity to "multiply" to help blend the logo into the image. Need visuals of these workarounds in action? My Pinterest board with examples of well designed logos that look great on photos and real world workaround options. Although filenames and meta data can help link an image back to you, the general public may not know how to look for these things. Or it may simply be too time consuming. Also disabling the right click option on your website will not always prevent the Pinterest "Pin it" button from pinning your images. Keep everything simple, easy and straightforward for a path of least resistance. Let social media spread the word about your images - so be sure to have your name on them! Leave a comment below, I'd love to start a conversation on the topic!